There is a key moment in Robin Stevens’ The Journal when Ethan Willis, a young man who journeys to Cambodia, Laos, and Thailand in search of his missing sister, Charlotte, is confronted with the brute existence of Evil in the shape of S-21 in Phnom Penh. S-21 was a major Khmer Rouge torture chamber, where many thousands of people were murdered. Ethan gazes at the crude paintings made by former prisoners on the walls of their hell; sees the blood and the smiling onlookers depicted in the images. In the visitors’ book he reads the wholly inadequate responses of western tourists: ‘How terrible …’, ‘Give peace a chance.’ A tearful Cambodian woman says something to him he does not understand, touches him momentarily. Ethan is much concerned with depth. Digging deep into life can reveal complexities that confuse and unsettle. Yet Evil is not inexplicable: it has causes and contexts, victims and perpetrators. Neither is it inevitable: it can be prevented and extinguished. Gazing upon its works with silent incomprehension or with trite responses only prepares the ground for its return. Charlotte says in one of her invented aphorisms, ‘If God exists, why wouldn’t one day of evil a year be enough for us to tell the difference between right and wrong?’ But telling the difference is not the issue; it’s making a difference that counts. Ethan’s quest for his sister is of course another manifestation of the male quest for an absent/abducted female, with profound roots in western myth and culture. (For instance, is it by chance or subconscious calculation that Ethan shares his name with Ethan Edwards, the agonized and lonely outsider who propels that great conflicted exemplar of the search narrative, The Searchers?) It is seldom solely the search for a missing person; often, a principle is at stake, a way of seeing and living, a whole that is no longer whole. ‘I wanted so badly to feel whole somehow,’ Ethan tells us, revealing the lack he knows is there, the impossibility of being himself until he finds himself somewhere on his journey through the heat and dust of Southeast Asia. The sights and sounds of Cambodia, Laos and Thailand are described in a kind of frenzied physicality – unceasing perspiration, the squalor of backpacker hostels, the ubiquitous motorbikes, the contrast between tasteless approximations of pizzas and genuine Cambodian food enjoyed in an unprepossessing structure crammed into a narrow side street. Sister Charlotte fled the family home, leaving Ethan to cope with his loss amid the silent anger of his morally unimaginative father and his bewildered mother, both of whom created a dull, stifling domesticity that left little room for love or spontaneity. The Journal deftly suggests the emotional vacuum at the heart of the Willis household, the words never spoken and the things left undone. This is another kind of evil, spelt with a small ‘e’ and cloaked in middle-class desperation. Until she ceases to communicate, Ethan does not have the internal resources to emulate his older sister, whose spell he is under because she has always been just that little bit more mature, more dreamy, less ordinary than he. The Journal is constructed around his recollections of Charlotte, which seep into his mind at unguarded moments: the time she talked about the beauty of the stars; when he found her weeping over a dead hedgehog; when she built him a transformatron from cardboard boxes, into which he could crawl and be transformed into anything he wished – an eagle perhaps, his wings outstretched as he soars around the bedroom – but visible only to her. Visible only to her. Ethan lives life in modes: survival mode, social mode, cool mode. He is unacquainted with himself, but will gradually learn who he is as his quest develops, as he finds love, and discovers skills and qualities he didn’t know he possessed. He will finish reading his sister’s journal for clues to her whereabouts and will commence his own. There is not just one journal in The Journal, but two. Clearly, Christina is unaware that to express scepticism of this nature in an evidential vacuum merely be asserting the possibility of doubt is incoherent. This kind of adolescent thinking has its place, but we should be wary of building a life or a novel upon such foundations. Similar nonsense is spouted by Charlotte: ‘So if all life is suffering anyway, then why not smoke? What difference does it make? If it gives you relief from the torment of living, then it must be a good thing.’ Come back in twenty years and tell us that. The trouble with travel is that it can narrow the mind rather than broaden it, confirming us in our prejudices and delusions, tutoring us in the ways of self-righteousness. Ethan’s great learning appears to be ‘The world is an amazing place, I know this now.’ That’s all right then. He tells us he ‘felt the attraction of a real travelling experience for the first time.’ His friend Seija says, ‘I travel to see different ways of life and to dive into them as deep as I can go.’ But there’s depth and there is depth, and one suspects that Seija is merely paddling rather than exploring the abyss. In other words, there is nothing inherently praiseworthy about travelling to far-away places – not if it culminates in the kind of solipsistic apotheosis contained in Charlotte’s self-regarding verses: ‘I am the World’ – dear girl, we can assure you you’re not and never will be. The Journal is thus principally concerned with western individuals churning up other people’s cultural and physical environments with their motorbikes and all-night beach parties, blithely unaware of their largely egocentric and instrumental approach to the world they despoil. What one might accept initially as gently accurate satire of youthful pretensions becomes the unsettling suspicion that we are meant to take much of this seriously – that the novel is as blind as many of its characters. It is a significant ambiguity that colours appreciation of the novel’s moral stance, which might seem trivial, or empty, or both. There are also minor problems: an overuse of italics for emphasis (depth); occasional typos; some uncertainty about tenses. 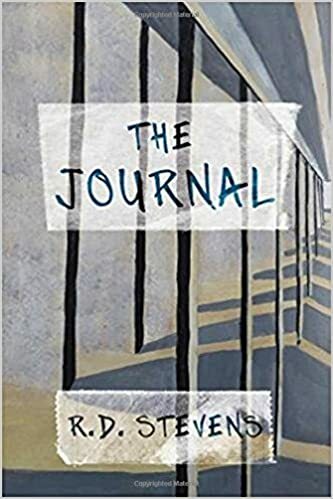 These mistakes aside, The Journal is an enjoyable and interesting novel, full of delightful observation, characters at whom we can smile, and situations that can make us wince inside. The countries it visits are immensely real: there is never any doubt that we are there, feeling just as hot and dusty as Ethan, and local people are not presented as curious specimens for our entertainment. As for the ethics of travel, the luxury of choosing what to believe may soon be a thing of the past.